Manchester United captain Michael Carrick is determined to add the UEFA Super Cup to a personal trophy haul that already includes almost everything there is to win in English and European club football. United take on Real Madrid in Skopje on Tuesday in a clash between the winners of Europe's two club competitions - a fixture the Old Trafford club have not won since they first took part in 1991. 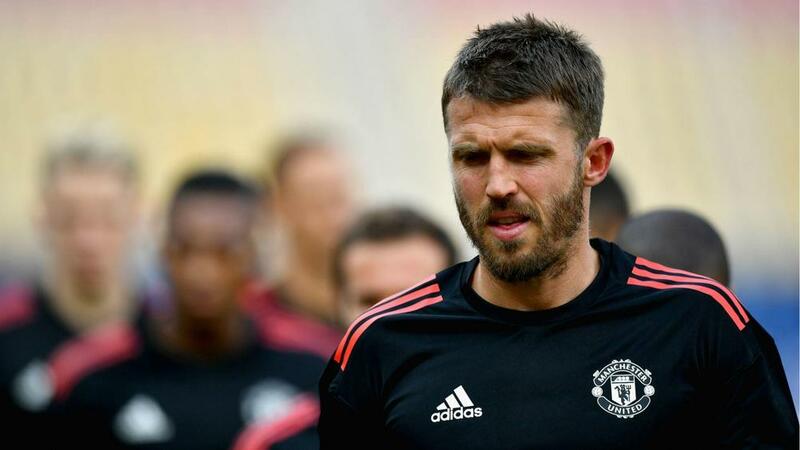 Carrick already boasts winners' medals in the Premier League, FA Cup, EFL Cup, Community Shield, Champions League, Europa League and the Club World Cup and says United are taking their latest shot at silverware seriously. "It is hugely important," he said. "It is a huge game. I don't think you can underestimate what we've been through to get to this stage and to play this game. "It is a big achievement to be part of it, so we are taking it very seriously. "It is a massive trophy to win at the start of the season and it can kick-start your season. It would be terrific for us. "It is not one I have managed to win and I'm not sure if anyone in our squad has, so we are all desperate to win it." Carrick will face increased competition for a place in the United midfield this season following the acquisition of Nemanja Matic from Chelsea, but the former West Ham and Tottenham man welcomed the arrival of the Serbia international. "Nemanja Matic is a terrific player," Carrick added. "He is a great signing and he knows what it takes to win. He has done that over recent times. "I think it is important he knows the league and the English way and knows how tough the season is."